You never know what life has concealed from you for the future or present day! Let’s stop being philosophical at least now and here we are to suggest you some of the best types of salwar suits that everyone must try in this year 2016. With changing trends and lots of fashion ideas, ethnic wear has always something special for everyone in every season. Scroll down to discover different types of designer salwar suits that you haven’t tried yet and thus must get them all. A favourite time of year – Summer vacations witness crazy travels and adventure tours (may or may not be with kids). And if you are planning to visit some of the famed cultural cities or countries, go with this Rajasthani hued salwar suit. It colourful shads will definitely magnetise lots of praised glances. Thanks to Neeta Lulla and her divine designs! Steal the look designed by Neeta Lulla and go with multicoloured shades while online shopping for salwar suits. This Anarkali salwar suit has a vehement flare at the bottom and thus just enough to spruce up your moments. Without some different punch in styling, there is nothing you can take so special in designer salwar suit. Isn’t it? Try this asymmetrical salwar suit set and show off your unparalleled persona. Catch this number with simple embroidery at the neck and loose salwar design. 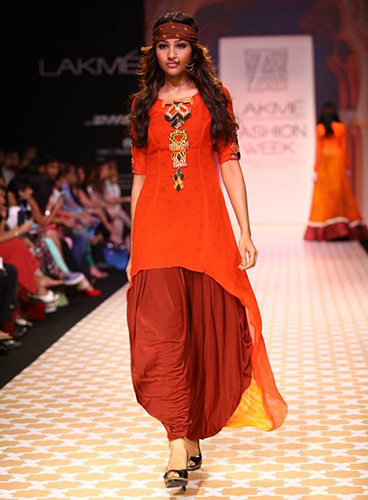 This year try various salwar suit designs because life is really too short to wait! Summer is all about vibrant spirits and colours. So, start celebrating #summer2016 with latest ethnic trends like this one. 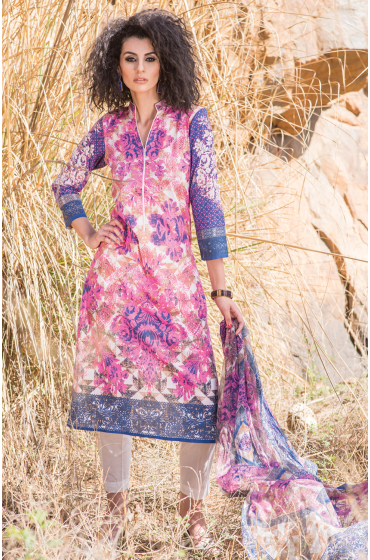 With harem style salwar and hi–low kurti with dupatta, this salwar suit for women will display your uniqueness at any occasion. Go bare, without jewellery and other accessories but simply with nose ring or chain. 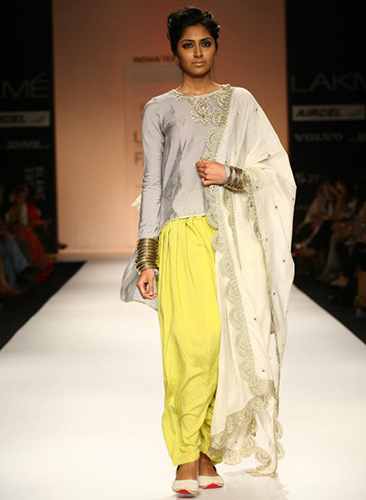 Adopt this evergreen androgynous fashion of dhotis with this dhoti style salwar suit. Never stop trying new styles and other types of designer suits as ‘stopping’ means death of fashion enthusiasm. 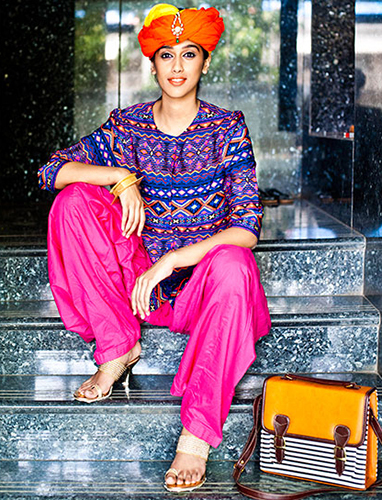 Explore various colours and pocket styles with this type of ethnic wear. You can put on traditional tiara with it. Floral print trend never fades away. So try this georgette salwar suit with amazing natural prints and club this Indian ethnic wear with matching bangles and sleek neckpiece. Shopping for suits online get amazingly interesting when there is an interference of various prints. One of the classic yet best Indian style suits is sharara style salwar suit. With a flared salwar at the bottom half, this Indian ethnic wear is true royal symbol with border embroidery or stone works. Wear traditional jutti and antique gold tiara with this number to complete your look.